I have always been a keen baker, but I can’t say I have always been the most confident cook – until I gave up gluten! When I started my Gluten Free diet over two years ago I decided to become a better cook, believing that if I had better cooking skills I would find a way to eat everything I used to before. What I didn’t expect was how enthusiastic I would become about food and how much it’s taken over my life. I love experimenting to find away to eat ‘normal’ dishes and this newfound enthusiasm has prevented me from feeling down about the food I can’t eat. Now, as well as baking all the sweet treats I love, I have started to develop savoury recipes and today I’m going to share with you one of the first savoury recipes on my blog, this very easy Gluten Free Gnocchi recipe. Making food from scratch is so rewarding but can often be very time consuming. I’m pleased to say this recipe is very quick as you only need 4 ingredients and you won’t require any specialist equipment. Gnocchi also cooks in a matter of minutes, making it a quicker option than pasta. 1) Peel and cut the potatoes into similiar sized chunks to ensure the potatoes cook evenly. 2) Place the potato into a steamer and cook for approximately 20 mins until it starts to become soft – but do not over cook. You can boil the potatoes but I prefer to use a steamer as it prevents the potatoes from soaking up too much moisture. If you boil the potatoes you will need to ensure you drain the potatoes well and soak up any excess moisture with paper towels. 3) Drain the potatoes and leave them to cool on kitchen paper in order to help them dry out. 4) Finely grate the cooled potatoes – you can also use a potato ricer. 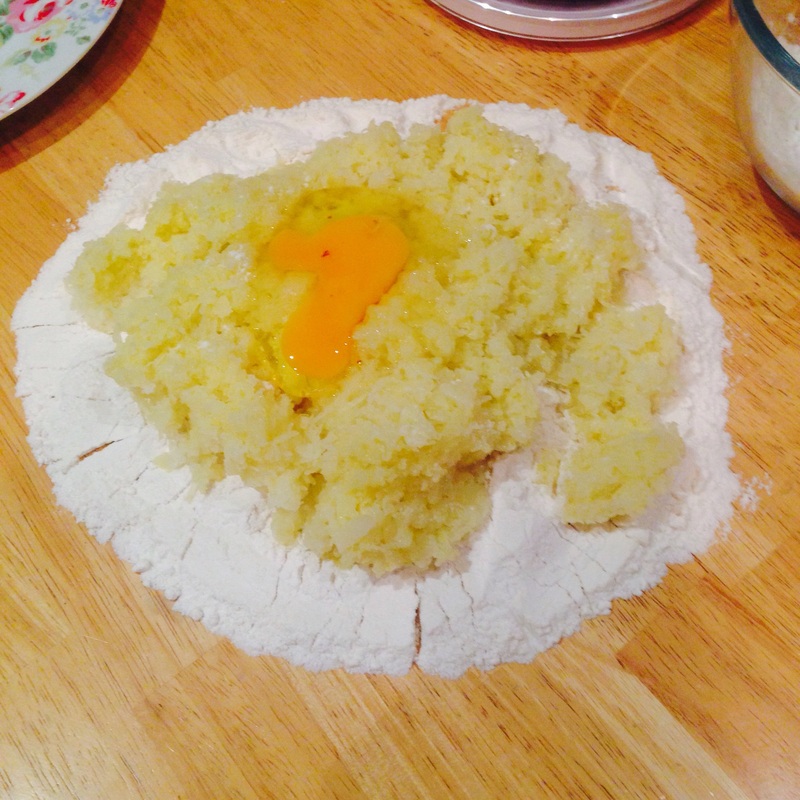 5) Place the flour and salt onto a clean work surface, make a well in the middle of the flour for the potatoes, then add the egg. 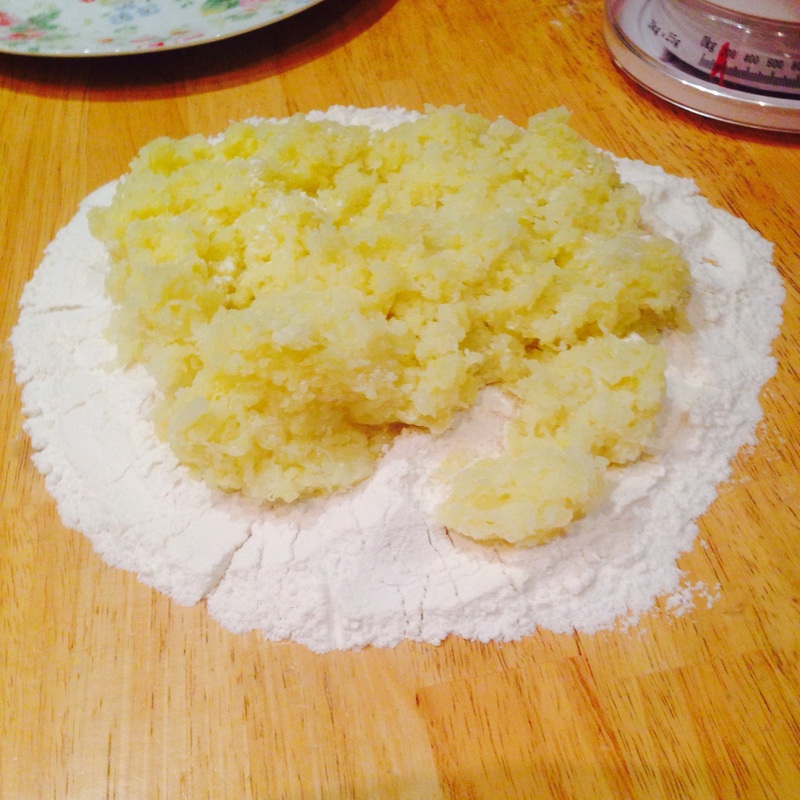 6) Use your hands to work the ingredients together until it starts to form a smooth dough. 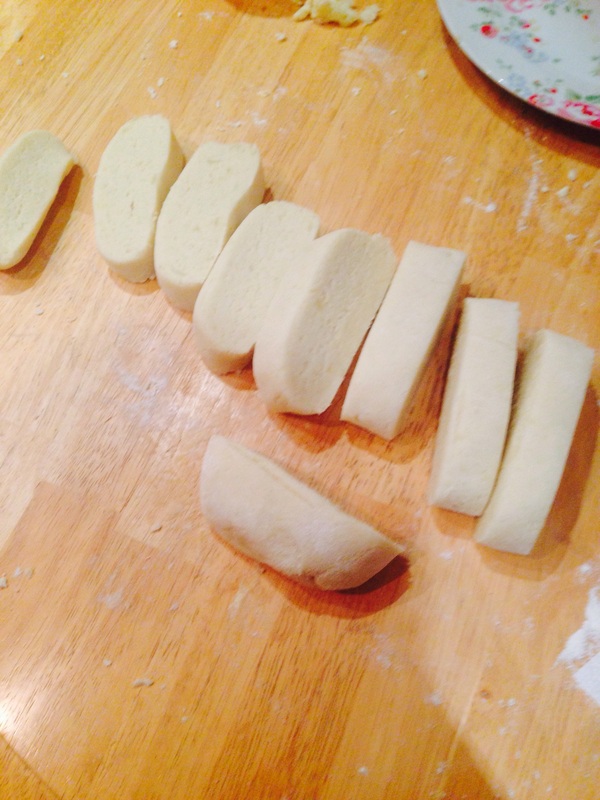 7) Work the dough into a rectangle and then cut the dough into slices using a dough cutter. 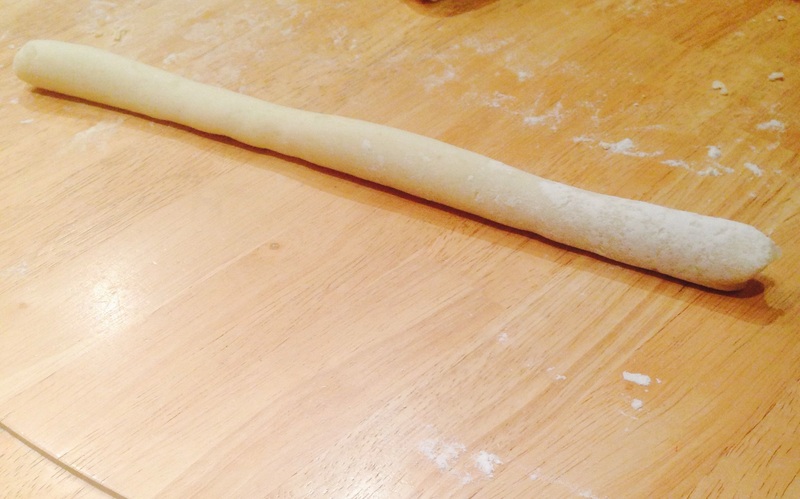 8) Roll out each piece of dough into a ‘rope’. 9) Cut each rope into inch long pieces. 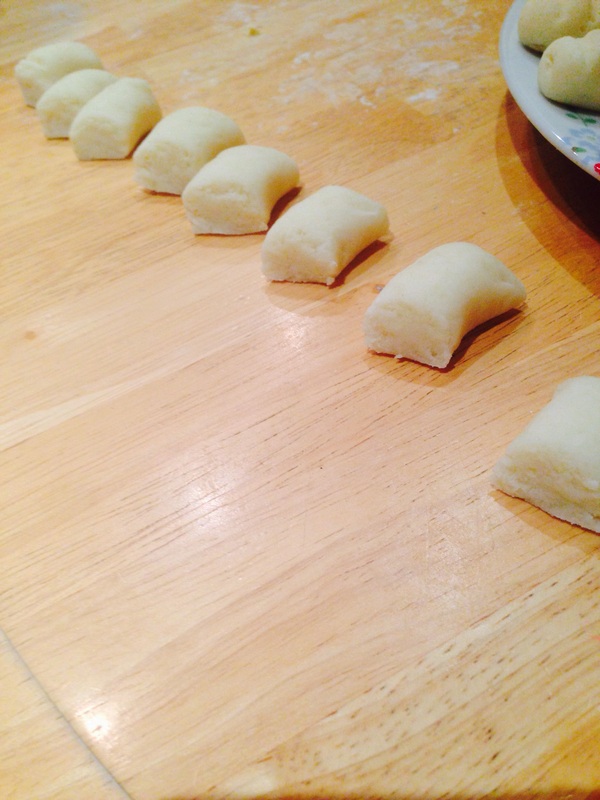 10) Roll each piece up into a ball then indent them with a fork to create the classic gnocchi indentation. 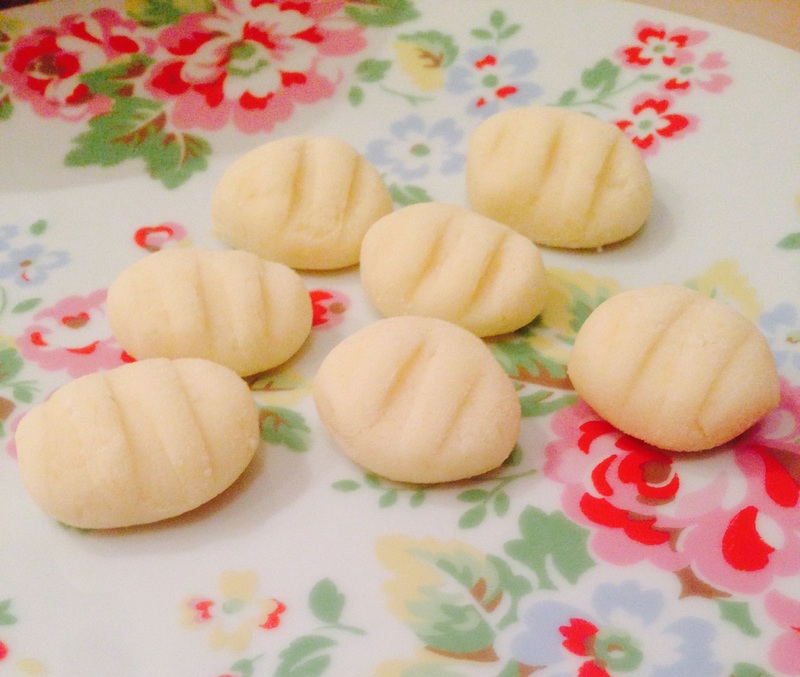 11) Place the Gnocchi in boiling water and cook for 2 – 3 minutes – you will know the Gnocchi is cooked when they float to the surface. Remove the Gnocchi from the heat immediately and drain to prevent it from over cooking. Gnocchi is so versatile, so you can experiment with a variety of toppings. I like to top mine with tomato sauce and mozzarella cheese then gently bake it in the oven to create a Gnocchi Bake. Delicious! Wow – That must have been a challenge!